SPRINGFIELD, Mass. — One high school coach has produced more top-3 NBA Draft picks since 2011 than any college coach in America outside of Duke’s Mike Krzyzewski. Kevin Boyle, the current Montverde (FL) Academy and former St. Patrick’s (N.J.) coach, has already produced five top-3 picks since 2011 — two No. 1 overall picks in Kyrie Irving and Ben Simmons, two No. 2s in D’Angelo Russell and Michael Kidd-Gilchrist and a No. 3 in Joel Embiid (whom Boyle initially sent to Montverde’s second team because the roster was too crowded on the first). 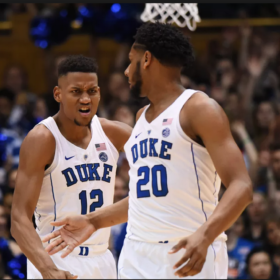 Assuming Duke freshman R.J. Barrett goes in the top-3 this year (a fairly safe bet), Boyle’s number will be up to six. Since 2011, @coachkevinboyle has more top-3 NBA Draft picks than any coach besides Coach K. Let that sink in. During that same span, Kentucky’s John Calipari has produced three top-3 picks (Karl-Anthony Towns, Anthony Davis and Michael Kidd-Gilchrist), Kansas’s Bill Self two (Andrew Wiggins and Embiid), Arizona’s Sean Miller two (Deandre Ayton and Derrick Williams) and North Carolina’s Roy Williams none. So Boyle and Montverde have produced more top-3 picks since 2011 than Kentucky, Kansas and North Carolina combined. Let that sink in for a minute. 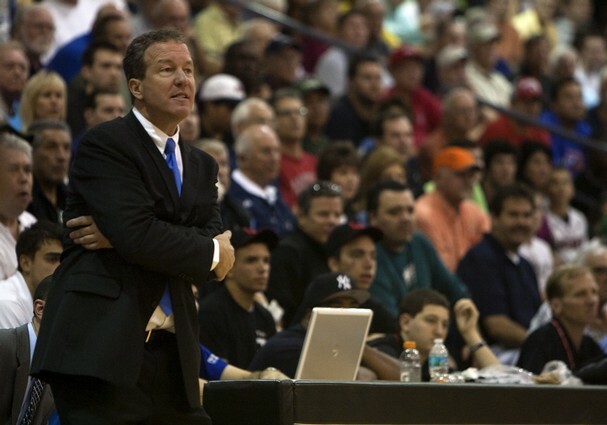 During the last six years, Boyle has also led Montverde to four national championships. That’s Nick Saban-esque. Boyle, 55, has occasionally been linked to college jobs but for now, he is happy coaching in the warm weather at Montverde, a diverse and well-heeled school where he makes a good living. He’s also involved in coaching clinics around the world, including in China and Russia. Of course, if the right offer ever came along, he might consider it.